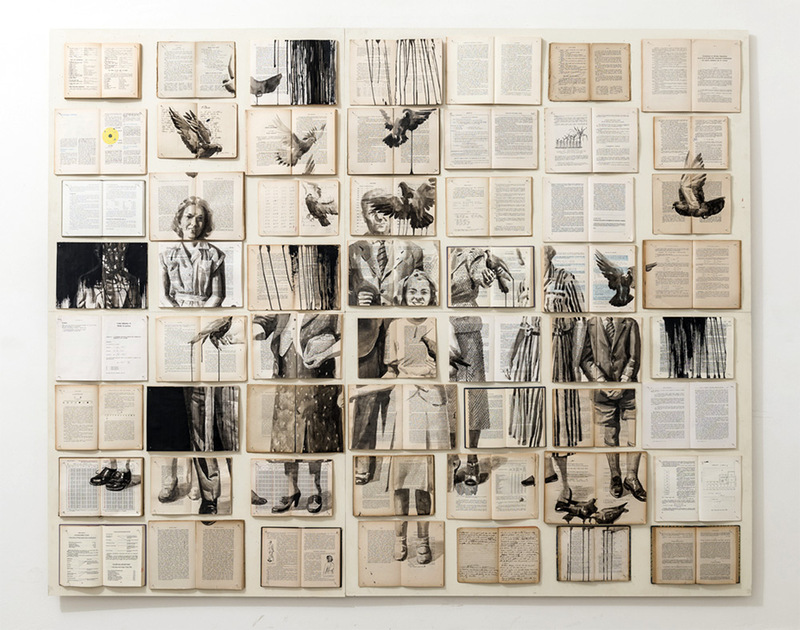 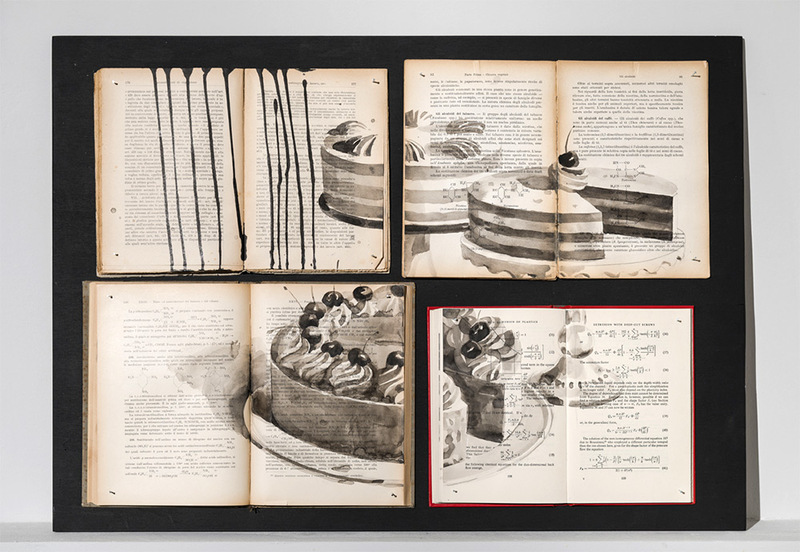 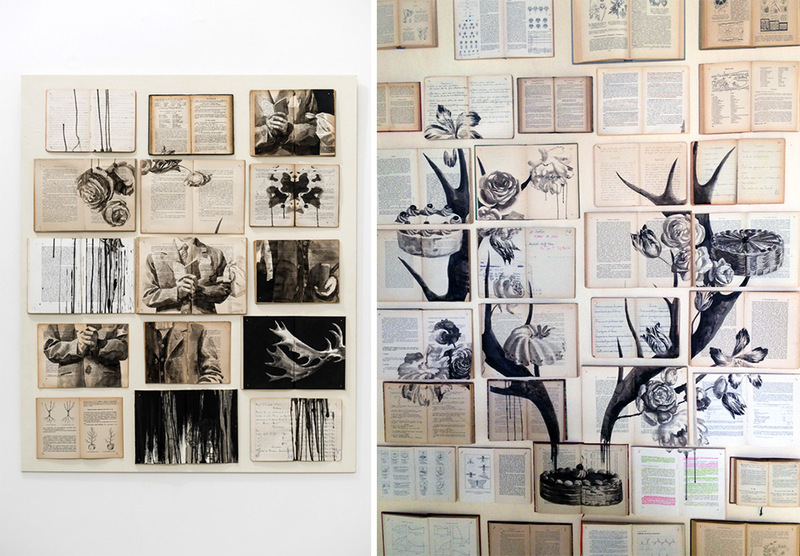 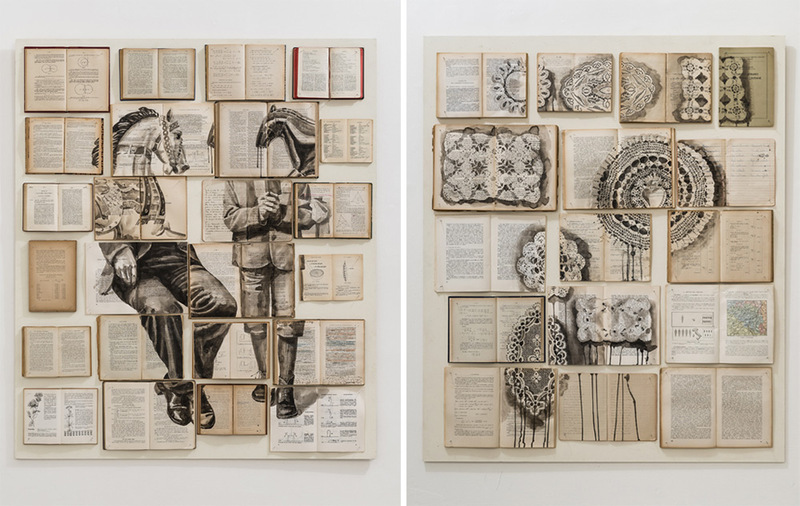 Ink and acrylic paintings on grids of vintage books by Ekaterina Panikanova which she open her third solo show at Sara Zarin Gallery in Rome. 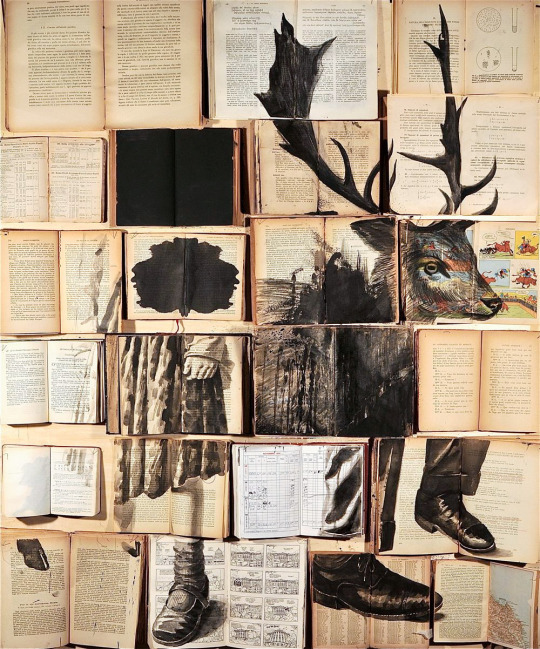 She creates imagery suggesting aspects of memory or old snapshots commingled with illustrations of birds, antlers, baked goods, and lace. 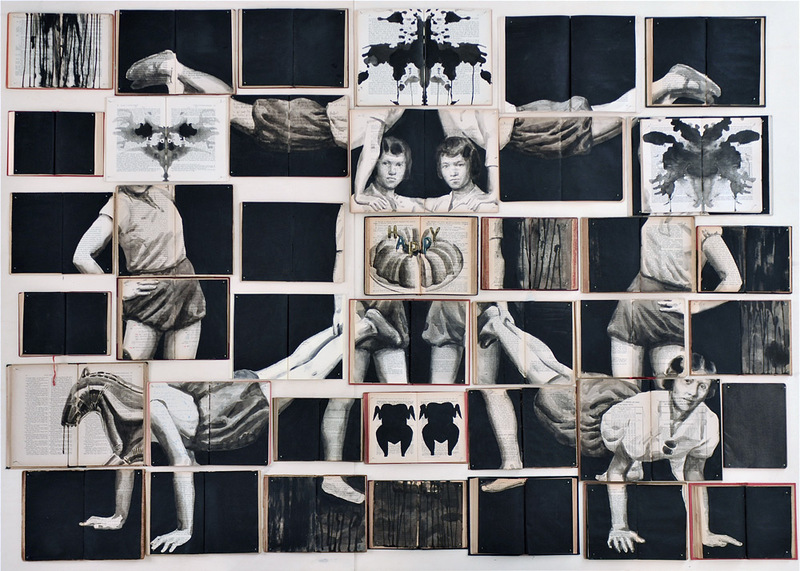 Check out more of Ekaterina Panikanova works here.